Should I Remove It take a different approach towards keeping your PC clean and bloatware free. 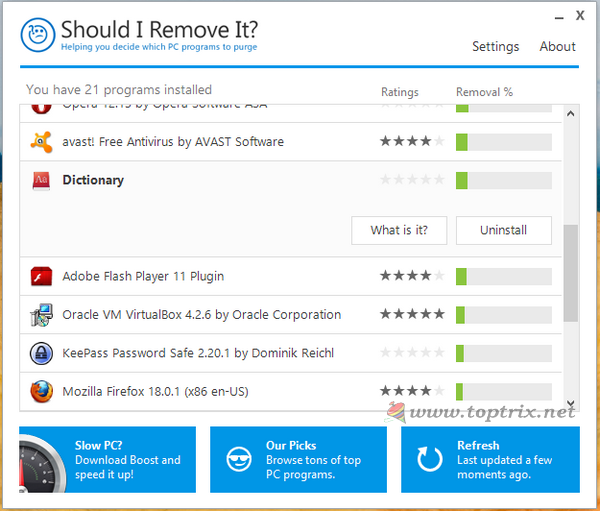 Unlike popular software removal tools, which offer to deep clean the registry values and trash files after uninstallation of software, Should I Remove It is a different application. Actually at first glance, it looks like a software|uninstallation utility but it offers the community based reputation rating of installed software and various statistics from users around the world by which you can very easily come to the decision whether you should keep using the software or you should remove it. When you run the Should I Remove It, the interface is similar to Windows 'Add or remove software' applet and it lists all the installed software on your Windows system but the only thing it offers is the star rating of the installed software. When you click on any specific software from the list, two buttons, 'What is it' and 'Uninstall' are shown. The 'Uninstall' button offer to uninstall the software, but the main feature here is a 'What is it' option. When you click on the button, 'Should I Remove It' take you to its website with all the information about the particular software. The information given is very interesting and help you to find out the real quality of the installed software. Here is an example information about the Ask . com toolbar. Statistics about how many percentage of peoples uninstalled it and how many kept it. 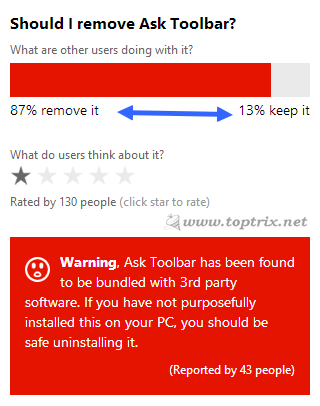 If more people are unhappy with the functionality of the software, obviously most of them will remove it. What it the software section give a small description about the application. The star rating gives clear cut idea about reputation. Bellow the star rating, a warning. 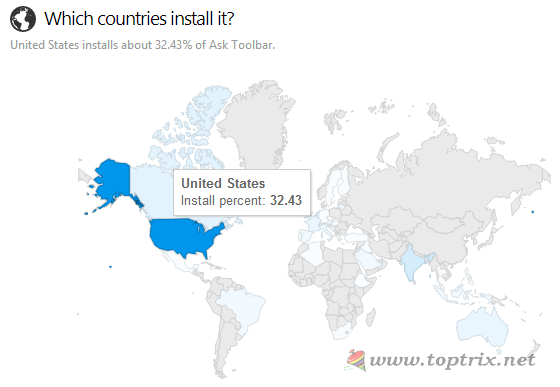 Then the list of installed files on your computer, various versions of software available, statistics about the regions where the software is installed more. 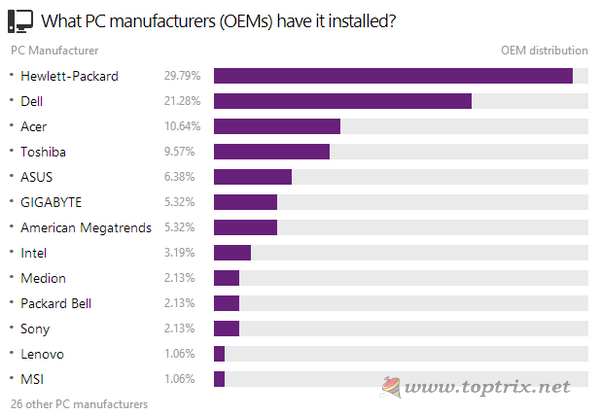 What PC manufacturers (OEMs) has it installed? Will give you information about the manufactures who pre install the particular software on their computers as a bloatware. Everything on the internet is going social, likewise, the social based software reputation and using it to find out the bad software is a good idea. What you think?